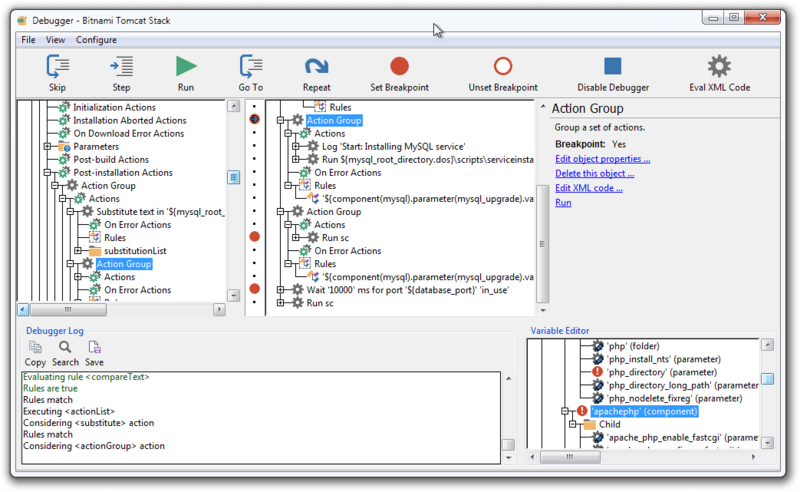 The new InstallBuilder debugger makes it easier to identify and correct issues during the installer development process. It allows you to view and interactively edit installer variables at runtime, provides step-by-step execution to test that specific parts of the installer are functioning properly, allows recovering from unexpected errors during the installation process and more. A complete guide to using the debugger is now included in the InstallBuilder documentation. InstallBuilder installers can install applications written in any language, including: Java, PHP, Perl, Python, Ruby, C / C++, Flash, Flex and .NET / Mono. InstallBuilder installers are not Java-based, so they do not require bundling a Java Runtime or a self-extraction step. The result is crossplatform installers that are smaller and faster than those generated with competing products, which reduces download, startup and installation time. 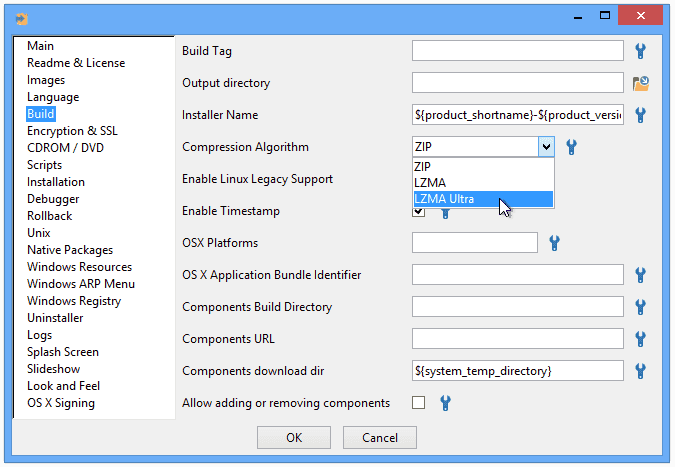 InstallBuilder also offers support for LZMA compression for further reducing the size of generated installers. BitRock installers provide native look and feel and desktop integration for Windows, OS X, KDE and Gnome. Start creating installers for your application in minutes! Alfresco is the recognized leader in Open Source Enterprise Content Management. Our focus on Simple Open Source - SOS - enables customers to achieve the full potential cost savings by making it simple to install, simple to use and simple to scale out an entire stack comprised of multiple open source software components. BitRock is a key partner for us in this initiative reducing installation-related time, support and cost for the whole ECM stack. Paul Holmes-HigginVP of Engineering, Alfresco Software, Inc.
InstallBuilder's comprehensive cross-platform support has proven invaluable to us, giving our customers a consistent installation experience no matter what operating system they run on as well as reducing our development costs by avoiding the need to support multiple technologies. BitRock's excellent technical support team are the icing on the cake, helping us out quickly and efficiently whenever we need a hand. We were looking for easy to use installation software to support our products on Linux. We tried a couple well known commercial alternatives, but BitRock was easier and more cost effective than it's competitors and it was a heck of a lot easier than creating an RPM distribution from scratch. BitRock's services have helped us to provide Openbravo in an easy to install package, virtually eliminating implementation barriers. The automated installation process reduces installation-related support requests and costs. The BitRock team has a wide range of experience and the high quality service they provide was a key element in choosing to work with them. As the world's most popular open source database, MySQL has a diverse customer base that requires support for a wide range of operating systems and architectures. BitRock's expertise in packaging software to make it easy to install in virtually any environment made it the perfect fit for MySQL's requirements. Working with BitRock allows us to provide our users with a fast, easy installation process while at the same time reducing our support costs. Rob YoungSenior Product Manager MySQL Network, MySQL Inc.
Bitrock outperformed even their own estimates on providing the functionality we needed in an inordinately short amount of time... Bitrock listened to our needs and implemented the functionality we needed on a tight deadline and kept us up to date and included in the process with consistent 'update' builds to show their progress. I would highly recommend working with Bitrock to anyone that is looking for a professional, excellent team of individuals that can implement custom solutions without breaking your bank account. The BitRock installer has cut our build/test capital needs by 75%. The overhead in build/packaging for a dozen platforms is trivial. I now type in a command and I get installers that work on all the platforms I need to support. BitRock's installer was a lifesaver, dramatically cutting down our build/release times. Many administrators cite complexity of installing lots of different components as a roadblock to adopting open source software. One of our main goals for the Amanda Enterprise Edition was to enable backup administrators to very easily install, configure and manage a backup solution for their network. We invested heavily in developing our LAMP based Zmanda Management Console for configuring and managing Amanda. BitRock was a natural partner for us to make the installation itself easier. We relied heavily on the LAMP expertise of BitRock's developers to meet our aggressive timeframe to deliver a rapid installer for Amanda. We use InstallBuilder to package our applications, improve and simplify the deployment of our tools, targeting an important range of platforms from Linux to Windows and MacOSX. Bitrock team has proven very helpful and the quality of their support has been a key element in our choice. 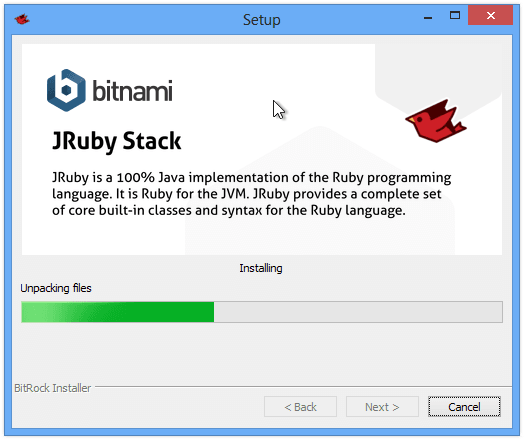 Switching to BitRock InstallBuilder made it easy for us to add installation set building as part of our regular builds. The clarity and simplicity of the file format gives us confidence in what is included in the distribution, so we know that what worked last month will still work today. Last-minute worries about getting the installation set working are a thing of the past. When we've needed support, we've been delighted by BitRock's remarkably rapid response, often in minutes rather than hours or days. I have been using BitRock InstallBuilder for several years. It has proven to be the flexible installer utility that I had hoped. More important than its technical achievement is the support that comes with your product. Every question I've asked has been answered in a prompt and complete fashion. Several times special versions of InstallBuilder have been supplied to help me out of a problem prior to a new version release. Requests for enhancements have been considered graciously and the BitRock team has always treated me respectfully regardless of whether the answers to my questions were obvious or subtle. I heartily recommend InstallBuilder. We are very happy to have BitRock as our stack installer technology partner. I am impressed with their platform knowledge and responsive support. Sugar's FastStack product series offer incredible value and convenience with BitRock installer technology. 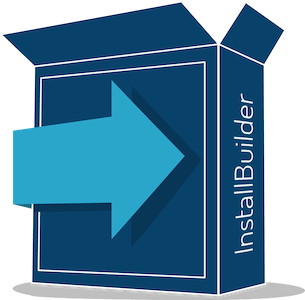 InstallBuilder is a great tool for helping developers who don't want to spend too much time on packaging their software. The fully customizable installation procedure offers a nice graphical interface that fits the specificities of our product and allows an easy installation on both Linux and Windows platforms. BitRock's InstallBuilder and Custom Stacks help us provide KnowledgeTree in an easy to install and robust form, removing what is traditionally a significant implementation barrier for would-be users of commercial open source software. Since KnowledgeTree is now deployed on a known and certified Apache, MySQL and PHP stack, our support costs are significantly lower. I'm finding new things I can do with InstallBuilder all the time, like post-processing the Windows install file so it's digitally signed and deployed by ftp to our website. I needed a cross-platform installer, and this is truly fantastic. 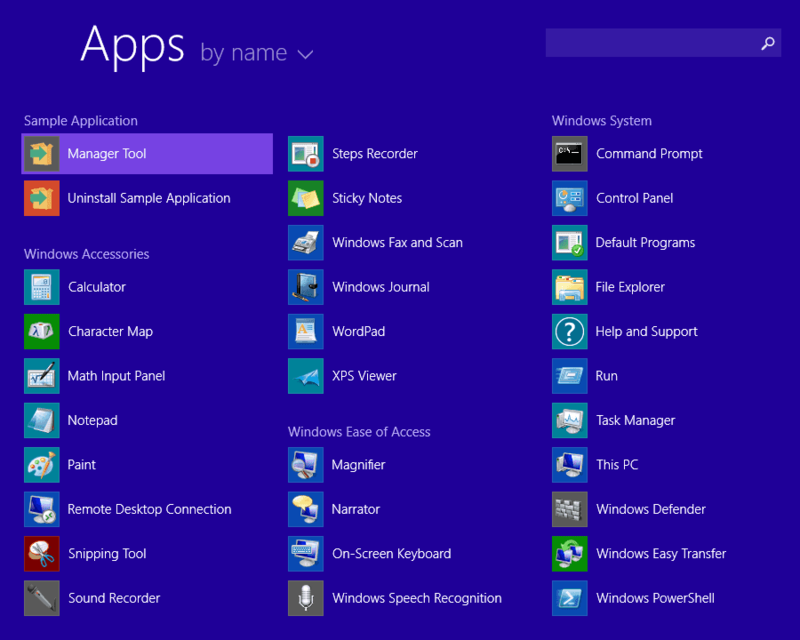 Thanks to InstallBuilder, supporting multiple platforms has become much easier. With little effort, we were able to package our commercial tool, Plastic SCM, for Windows, Linux and OS X using only one project file. Also, BitRock's support has been excellent, from the first few days when we were just getting started, to addressing bugs, to helping with suggestions for installer improvement. The previous product we used to install our Inovis TrustedLink Enterprise product didn't support Vista and required a costly upgrade to get that support. Switching to BitRock provided that support and saved us money as well. Providing platform independent software requires an easy to use platform independent installer. BitRock InstallBuilder has removed the overhead of packaging our products for the different platforms and integrates perfectly in our build process. Furthermore, it streamlined our install process on the different platforms. BitRock is also very responsive on questions and suggestions, providing excellent support, which allows us to focus on our own development. Tom GhyselinckSoftware Developer, Excentis N.V.
Darkling Simulations develops computer graphics tools for the game development, visual effects, and scientific simulation industries. As a software developer, I love InstallBuilder...it does what I need it to do without fighting me every step of the way. Before using InstallBuilder, we were creating our install packages manually, which took about twenty minutes. Through the use of InstallBuilder, we were able to fully automate this process integrated with a simple web interface, which now only takes a few minutes. 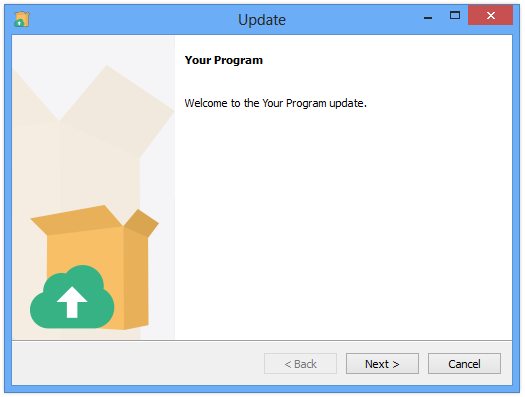 We were also able to easily integrate some additional downloads for our software, which clients would have to install separately from the program, into one easy installation task. InstallBuilder has greatly reduced the time we have to spend on each individual install package. The common interface reduces the documentation and support tasks associated with multi-platform installation. Allowing non-root, non-Administrator users the capability of installing broadens the potential user base. More important than the ease of development is that users have commented that the installation is 'really easy'. BitRock InstallBuilder has allowed us to greatly simplify the installation of our enterprise software offering. An automated installation process that we can replicate has been key to the successful completion of several complex multiplatform integration projects. HelpSpot, a PHP application, is generally a breeze to install on Linux or Unix. Unfortunately, getting PHP running--and hooked to Microsoft SQL Server -- on Windows is tricky at best and left us spending a significant amount of time with our customers to get them up and running. We wanted to alleviate this pain for our customers while giving them a more familiar Windows-like experience when installing HelpSpot. The team at BitRock was able to put together a custom solution for us which not only allowed our users to install the standard WAMP stack but also optionally offered installing PHP with IIS and SQL Server. Through the development process they provided truly awesome customer service by being extremely responsive and delivering a high quality product. It's been a huge success with our customers and in reducing some of our support load; HelpSpot installations on a Windows server are completed in minutes rather than hours. Our latest release was flawless, thanks to BitRock. We created multiple installer packages with over 130 files each, for Linux and OS X. BitRock InstallBuilder allowed us to create installer packages very efficiently. As a small business software vendor you continuously need to improve to attract new customers. After evaluating several products with regards to price, features and support, we found BITROCK to be unbeatable. The availability of a professional installer for Linux and Mac OS X has become a great advantage to our users and reduced our support efforts substantially. Marcus EdvallGlobal Business Manager, Tomlab Optimization Inc. The Bitrock's product has a good structured approach to installer definition which allows us to build complex kits automatically. It also has an appealing native look-and-feel, which gives a good initial impression of our HVR replication product when the customer first installs it. Just does what it is supposed to do. Using InstallBuilder we can focus on our core product, rather than worrying about each platform's installers… Besides the website, Hyves is expanding into the desktop space, starting with our chat application and a photo uploader tool. Together, these tools have been downloaded approx. 25,000 times in less than two weeks since we started using InstallBuilder. Bitrock has helped our development cycle tremendously. Their cross platform install builder works right out of the box, and it is very easy to use. BitRock Installers have been a great help in deploying our server products. We can now provide an identical user experience across all our supported platforms. The ability to build all installers from a single environment has been a big plus. We have been able to save time and money with Bitrock. Their superb after sales service helped us get up to speed with the builder product quickly and our support team never had to deal with failing installers: Bitrock technology just works. We are highly pleased with the Bitrock InstallBuilder. The handling is intuitive and easy, including the more advanced features like the installing of additional project libraries in specific directories. The best part: No need for several tools for different platforms. The Multiplatform CDROM Build makes it very simple to create all needed installation files for different platforms in one step - very cool. Thanks to BitRock InstallBuilder we have noticeably reduced the complexity of the installation process of our products, both creating the installers for different platforms and for the end user. Our end users now benefit from the extreme ease of use and help that BitRock installers provide. Additionally, using BitRock we indirectly contribute to the development of Open Source software, thanks to the policy of giving free licenses that BitRock has for this kind of projects. Pentaho, creator of the world's most popular open source business intelligence (BI) suite, is focused on providing a rich, out-of-the-box experience for our users. BitRock is a key partner in delivering that experience. Pentaho integrates tightly with J2EE application servers, and our BitRock-based installation allows our users to apply the power of Pentaho's BI technology without the complexity of custom-configuring their J2EE environment. Time to market is critical for open source applications. JasperSoft uses BitRock InstallBuilder to quickly create simple to use, multi-platform installers for JasperServer and JasperAnalysis. As the leading solution for open source Business Intelligence, JasperSoft supports a complex combination of operating systems, application servers, and databases; including Red Hat and Windows, JBoss and Websphere, and Oracle and MySQL. BitRock makes this support easy to manage. In addition, cost-effective consulting services from BitRock have provided us with turn-key installers for a variety of commercial and open source platforms. 1. A robust cross platform installer for Windows and Linux. 2. Highly customizable and granular functionality. 3. Responsive, 'real' person support. I got all three. The last two, in bucket loads! We have looked at different installer solutions. For us it was a key feature to support all platforms (classic Unixes, Linux and Windows) with a single installer built from a single installer config file. During the evaluation we experienced BitRocks excellent and outstanding support. The very small overhead of the installers, the human readable xml installer config file and quick turnaround time for feature requests even during evaluation convinced us. Having used BitRock InstallBuilder in a productive environment for over two years now, we are still 100% sure it was the right decision to select BitRock InstallBuilder for our installation tasks. 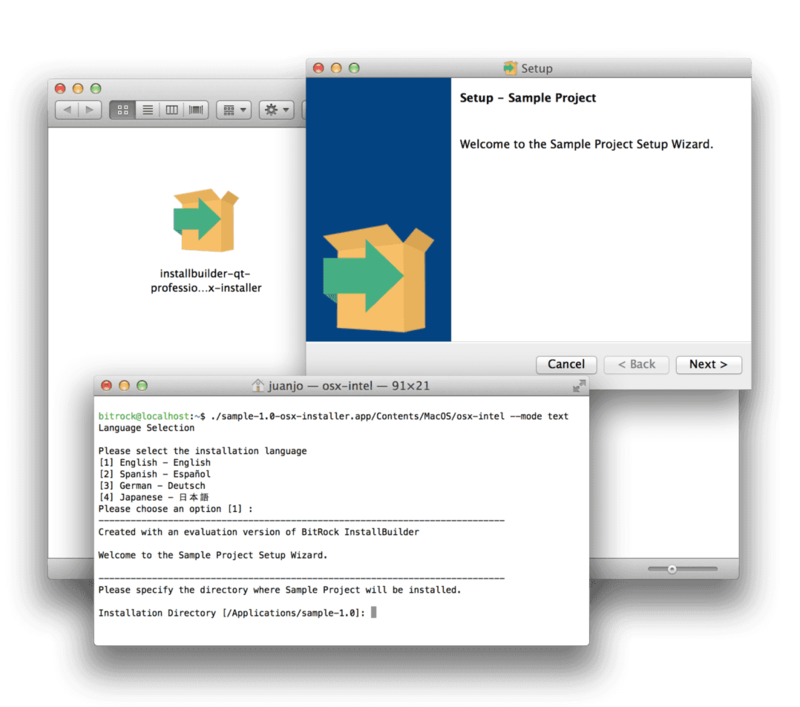 InstallBuilder has been really good to use and a very intuitive interface makes learning the program very easy. The best thing about it however is the xml format. Other installers require inventing the wheel again and learning new scripts which we don't have the time or money to do. It's great to have an installer tool that developers can easily use. When Vivio first began creating installers for OpenBD, they were written as a BASH shell script. These installers worked well, but they were amazingly difficult to maintain and were not cross-platform. We needed a maintainable, cross-platform system to help our community get their servers up and running quickly and easily. We examined a multitude of other solutions, but through all our evaluations BitRock emerged as the most comprehensive, feature-rich, and easy-to-use multi-platform installer we found. Not only is the software itself phenomenal, but the BitRock support team is truly amazing. All of our questions were answered almost immediately, with comprehensive, knowledgeable, and helpful information. BitRock is the perfect example of how any company should do business. Thank you BitRock! BitRock Installer made the life of linux users (especially who came from other operating systems) a lot quicker and let us deliver in a simple way all our releases and RC. Software came with a full and comprehensive documentation and manual, very easy to use, very short to have it fully working on custom design and project. Since first release (our internal RC, to test it before deploy on final release) got a great number of positive feedback from whole KV users community on linux platforms (both i686 and x86_64).